Hands holding flags of Russian Federation. 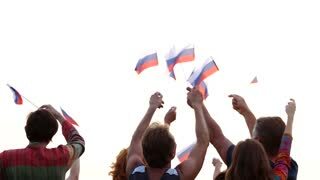 Peaceful Russian patriots waving flags outdoors. 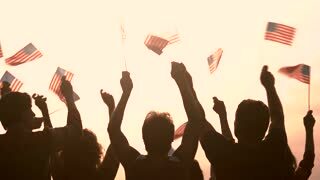 People, freedom and patriotism. Group of people waving Russian flags. People hands raised National flag of Russia outdoors. Ukrainian people waving with flags. Group of patriots with Ukrainian flags, back view. National Flag Day celebration. Chinese patriots with flags, back view. Group of people waving flags of China outdoors. People waving Chinese flags, back view. Group of patriots holding flags of China. Patriotic Chinese crowd. 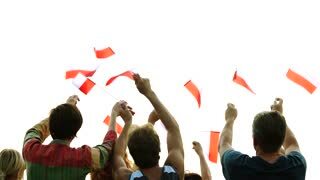 Hands waving with flags of Poland. Patriotic Polish people raising flags outdoors, rear view. Crowd of people support Poland. 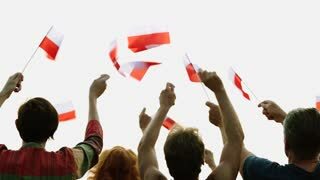 Happy people waving the flags of Poland. Group of patriots with Polish flags, rear view. Celebrating Polish Independence Day. 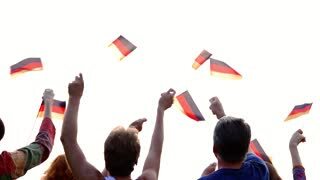 Group of people waving with German flags. Crowd of Deutsch patriots raised flags to the sky, back view. People gathered for football match. People holding the flags of Turkey. Turkish patriots celebrating Independence Day with raised flags outdoors, back view. Patriotic party concept. Happy Turkish people waving with flags. Crowd of cheerful people raising flags of Turkey to the morning sky, back view. People at concert. Group of patriots with USA flags at sunset. Ecstatic patriotic people waving with American flags with raised hands, back view. Football supporters at match.